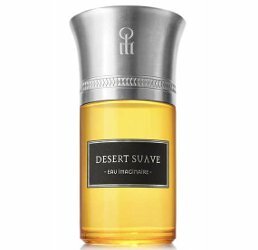 French niche line Liquides Imaginaires has launched Désert Suave, a new unisex fragrance. Désert Suave was developed by perfumers Quentin Bisch and Nisrine Grillie. The notes include cardamom, mandarin, orange blossom, rose, date, sesame and cedar. Liquides Imaginaires Désert Suave is available in 100 ml Eau de Parfum. Sesame…..hmmm. I can’t think of other scents with sesame? I do have a little celebrity crush on Quentin Bisch though…..I’ll sample it when the opportunity presents itself! Memo Kedu is another sesame fragrance. I’ve not tried it though. Diptyque’s Florabellio has a toasted sesame note. Said the same thing…at precisely the same time!